Many people conduct business without the help of an attorney. Oftentimes business dealings like transactions and agreements seem straightforward and simple to the layperson, but the reality is these matters have serious legal implications. Whether you are conducting business without a contract or are using a contract that was not drafted by an experienced attorney, you need to be aware of the risks you are facing. 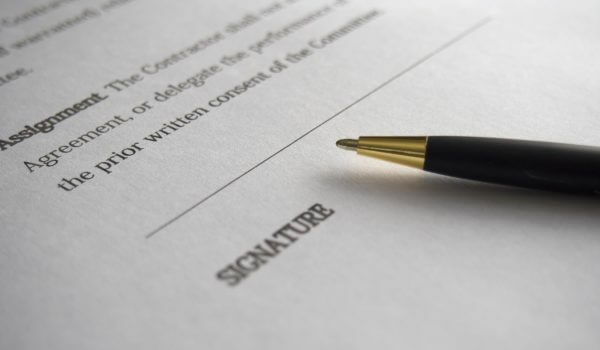 One of the many benefits of a well written contract is that it is legally binding. This means both parties will be responsible for holding up their end of the contract. Imagine what would happen to a business if a supplier stopped supplying crucial parts? The business would come to a complete stop. Contracts give both parties legal recourse when a contract is broken. Unfairly or improperly drafted contracts can bind parties to unfair terms. People that sign contracts before reading or without fully understanding them put themselves at risk of serious financial jeopardy. Some people may choose to write their own contracts or use generic contracts they find online, but these are fraught with problems. One of the most common problems with poorly written contracts is vague language. Contracts need to written with a level of specificity, which means generic contracts found online simply won’t do because vague terms are difficult, if not impossible, to enforce. Poorly written contracts also often lack crucial provisions such as details on how to terminate the contract, compensation for breach of contract, and many others. Depending on your business and industry, many specific circumstances must be addressed in the terms of your contracts. If these items are not addressed, you could find yourself tangled up in costly and expensive litigation. The Houston contract lawyers at Feldman & Feldman have extensive experience drafting all types of contracts for businesses within a variety of different industries. We can make sure your contracts are legally enforceable, outlines fair terms, and protect you from litigation. To schedule an appointment with one of our contract attorneys, contact us today.